How much time do you spend on email each week? According to a report from McKinsey Global Institute, employees spend 28% of their time reading or answering emails, equivalent to 13 hours per week. That's a lot of time spent on unbillable and reactive work that could be spent creating real work that meets the goals of your paying clients. This problem is especially problematic in agencies where account managers and client-facing staffers are dealing with requests and information from a number of different clients whose work is all considered a priority. You could use a project management tool to reduce the amount of email clutter created from projects. But you could also better optimize how you use email, prioritize requests, manage communication from your inbox. It's normal to be waiting on clients for feedback, design assets, or a simple answer to a question. But when you're managing five or 10 or even 15 clients, it can be difficult to stay on top of who owes you want information and by when. It's only when the deadline is looming or your manager brings up the issue that you even remember that the client never responded to that important email. 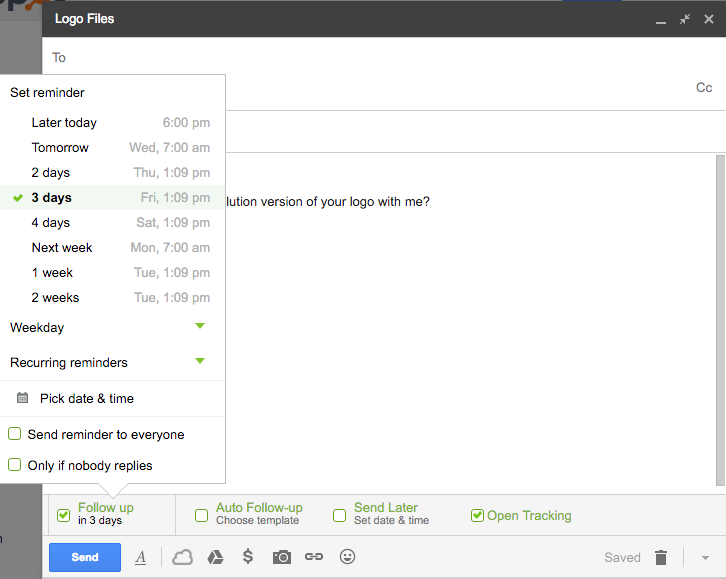 With FollowUp.cc, you can set a reminder to follow up on the email. 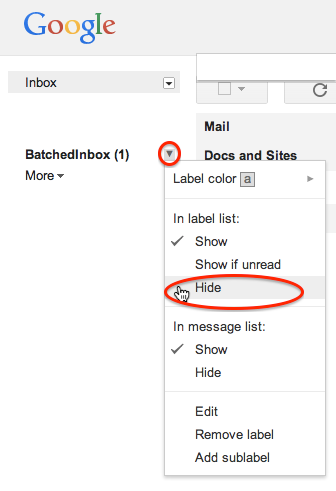 This way you can archive or move the email into a folder and maintain a clutter-free inbox. The plugin is especially useful when you are waiting for revisions on a file or after you send a proposal or new contract for the client to review and sign. You can also create follow-up templates for common responses and schedule the email to be sent at a later date and time. In addition, the tool allows you to snooze individual messages that you need to hadnle when your schedule allows. 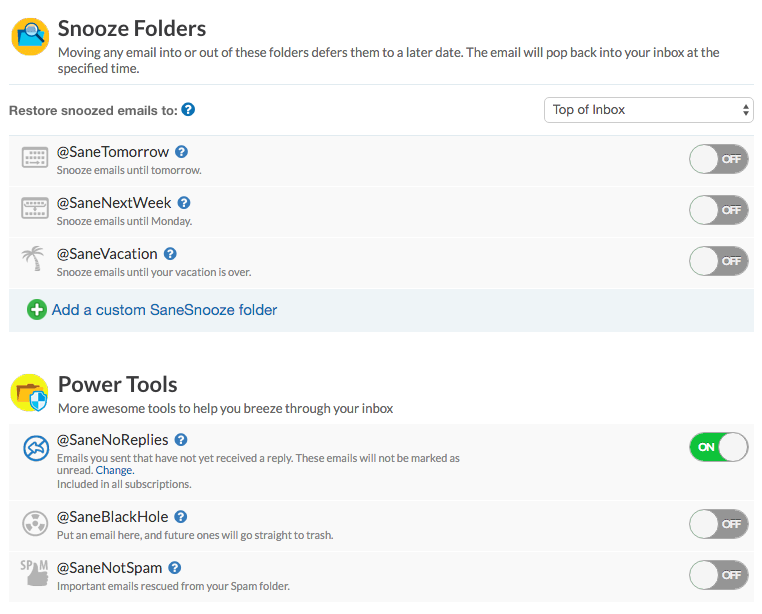 SaneBox weeds out unimportant emails after examining your inbox content and history, surfacing only the communications you need to care about. And you can train the tool by moving miscategorized emails to your inbox to make it even smarter. In addition, it provides features for setting notifications for when people don't reply to a message, unsubscribing from unwanted newsletters, and snoozing emails you want to deal with later. 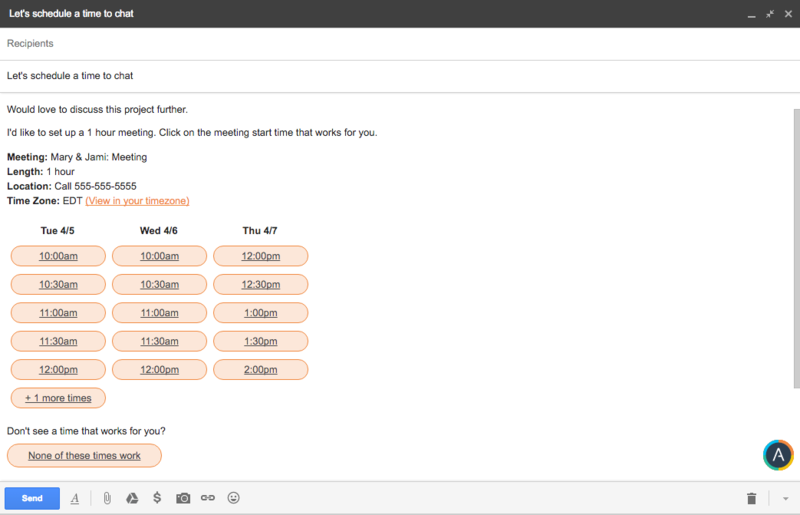 This is one of my favorite meeting schedule apps as it works seamlessly with Gmail. When someone emails to say they want to set up a call, you simply click on the Assistant.to icon within the email compose box. 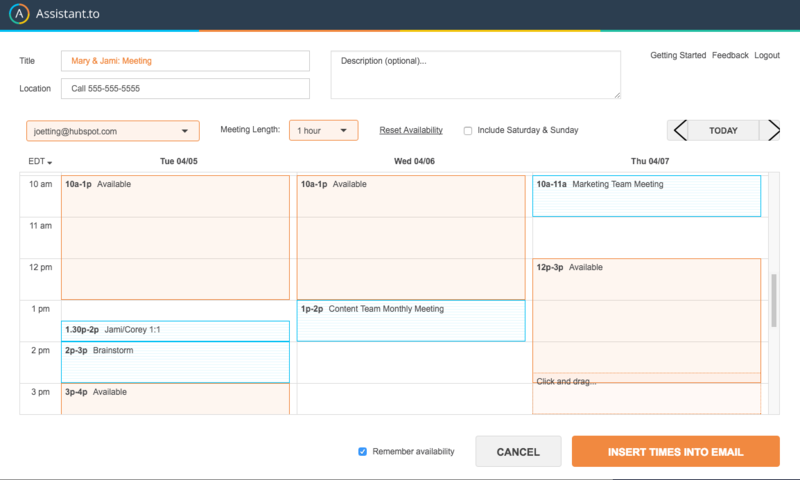 The tool reveals your calendar so you can select times you would be available to meet. Then, these times and the meeting details are inserted into your email. Finally, the email recipient can choose a time that works best for them. There's none of the back-and-forth madness that defines trying to schedule a call through email. 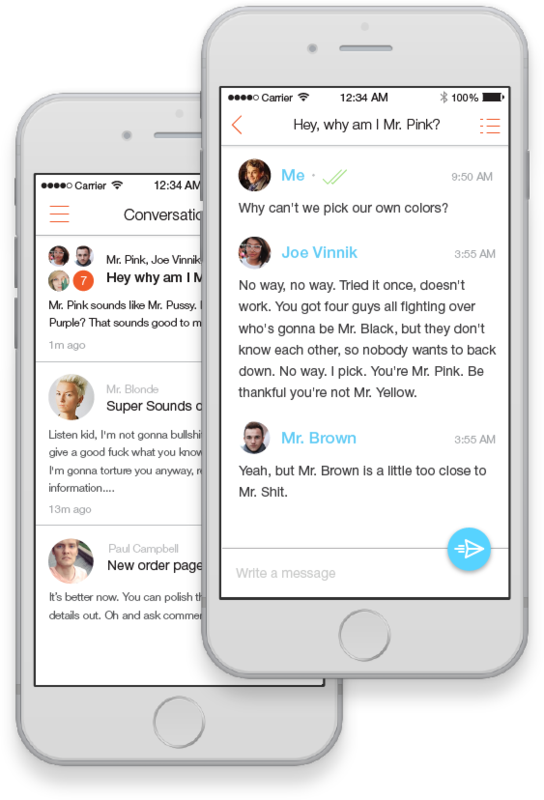 This iPhone app upgrades the user interface of your email client by displaying emails as chat dialogues. It also separates newsletters from emails from people in your inbox, and provides an option for you to unsubscribe to irrelevant communications with one swipe. You don't want to be controlled by your inbox, but it's also the place where many of your important task items and communication about these items are located. Yanado brings your to-do list to your inbox to make prioritizing and organization more streamlined. 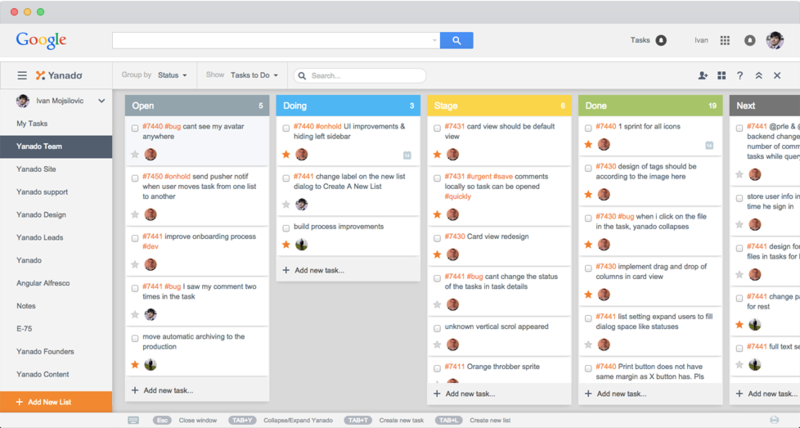 There's no need to hop from your email to your to-list to your project management tool and back. It's all there in one easy-to-process interface. 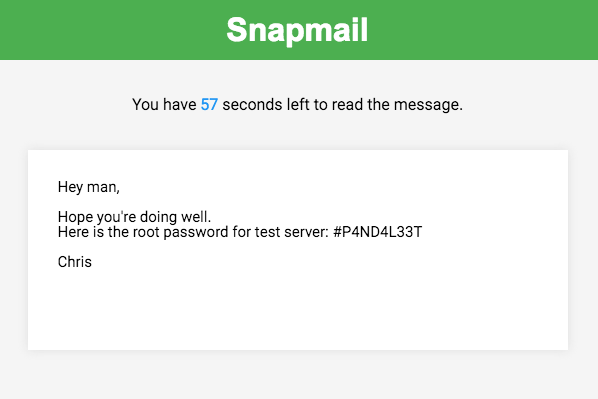 Snapmail is perfect for when you need to send a vendor or a client password details and other sensitive information. You simply select the Snapmail button, and any text emails will be encryted. Once the recipient opens the email, she will have 60 seconds to record the content before it's gone. To be able to focus on the emails that are really important -- like those from your clients -- it's a good practice to unsbscribe from the email newsletters that are no longer relevant or those that you've been myseriously added to. 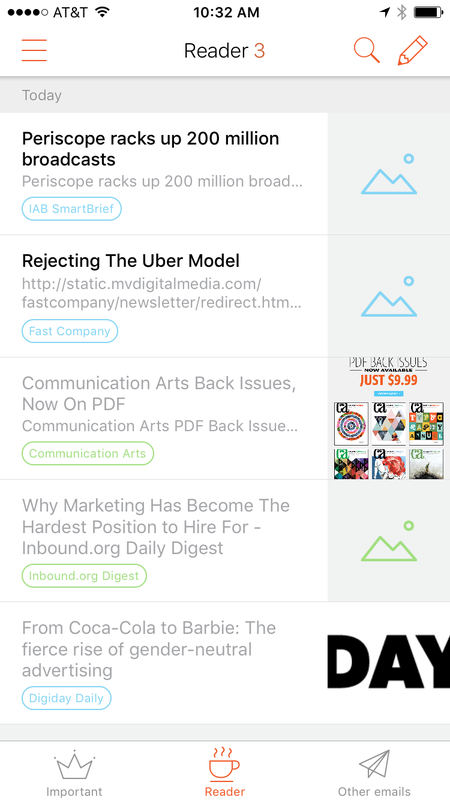 With Unroll.me, you can easily view your subscription lists and unsubscribe from them with one-click. You can also choose to "roll up" your subscriptions into a digest email to reduce email clutter and distractions throughout the day. 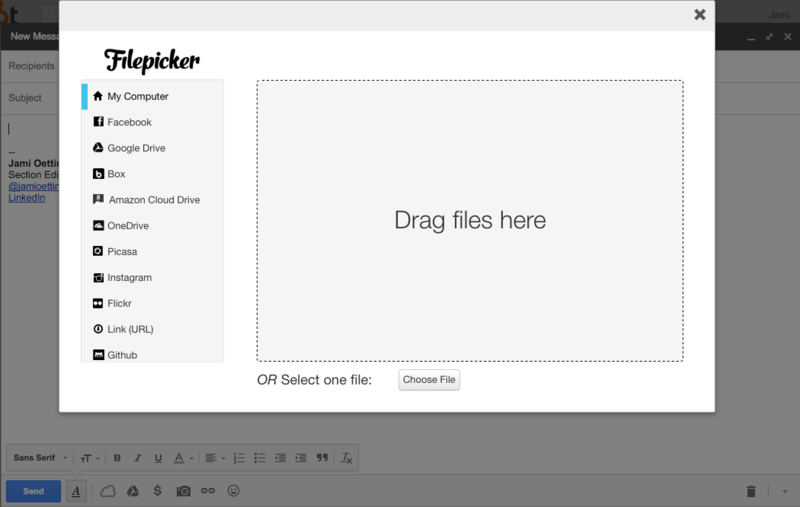 Inserting Google Drive documents into an email is quick and painless, but the same can't be said if your team relies on Dropbox, Box, or another provided. With Cloudy, you can easily attach and send files from other file storage providers, attach Evernote files, send photos from Instagram or Facebook, or attach documents from Github. You can also take photos and videos right from your Gmail account. It takes 16 minutes to refocus after handling an email, and on average, employees check their email 36 times per hour. How can you get anything done with a tool that constantly distracts you? Batched lets you control when emails reaches your inbox, which is especially useful when you need to focus and get a project out before a deadline. Basically, the tool filters emails under a specific label in your Gmail account. At times that you have selected (such as every hour or at 9 a.m., 2 p.m., and 4:30 p.m.), those emails are moved to your inbox. You always have access to any important incoming emails, but you can stem the habit of checking email out of curiousity that something important has arrived. You need your clients to trust you, and building trust is all about the client thinking you are the expert. An experts don't forget about grammar. They know the that only amateurs (not amatures) dash off an email without clicking spellcheck. 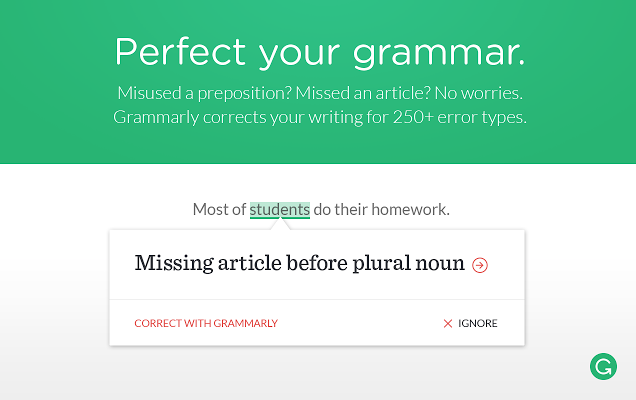 Grammarly works wherever you are writing online -- email, in a project management system, or blogging -- and makes sure that your credibility remains in tact by double-checking your work. 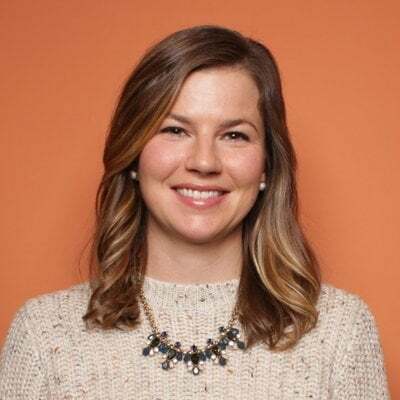 HubSpot's Sidekick is an email tracking tool that allows you to see when a client or propsect has opened an email -- basically, you'll be able to tell if your email got lost in the client's inbox or if she is actually ignoring it. The plugin also highlights key contact information about the person you are emailing, such as links to their social profiles, so you can gather intel on what the person is interested in or recent events in their professional life and personalize your messages. 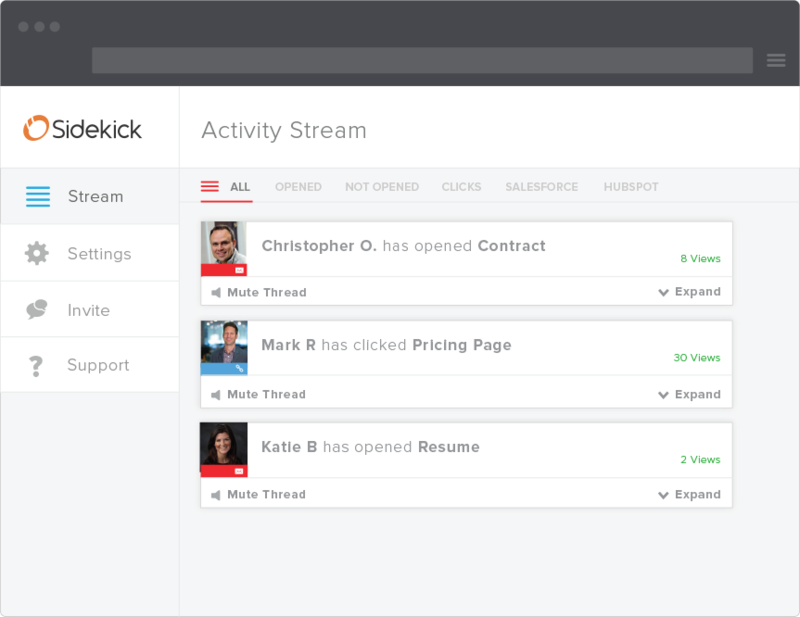 With Sidekick for Business, you can create templates and track the performance of your sent emails and content. What plugins, extensions, and apps make communicating with your clients easier? Let us know in the comments below!